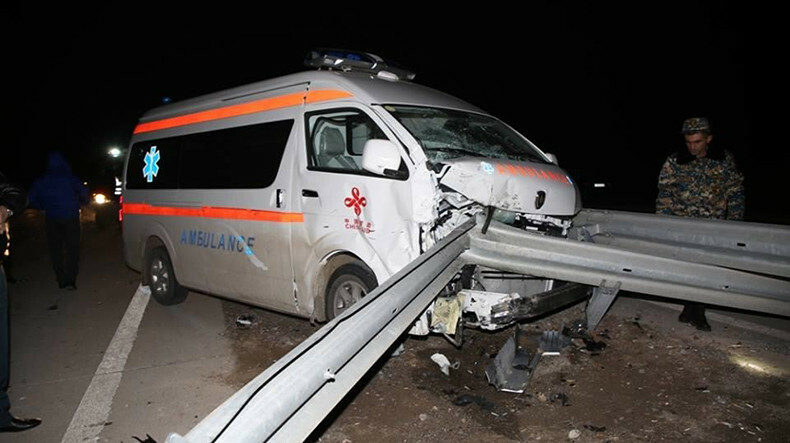 One person died and several others were wounded in a road traffic accident involving an ambulance and another vehicle on an Armenian highway on Friday, shortly after midnight. Authorities say a GAZ 24 vehicle collided with a Jinbei ambulance on Yerevan-Yeraskh highway at around 12:10am, as a result of which the driver of the car was killed immediately, while his passenger and the driver and passengers of the ambulance suffered injuries and hospitalized at Artashat Medical Center. The Investigative Committee says it has launched a criminal case into the incident. A probe is underway to determine all the circumstances behind the crash.